The Hughes / McDonnell Douglas / Boeing AH-64 Apache is a twin-turboshaft-engined two-seat multi-role combat helicopter developed and initially produced by the US-American manufacturer Hughes Helicopters, later by McDonnell Douglas Corporation and today by the Boeing Defense, Space & Security Devision. 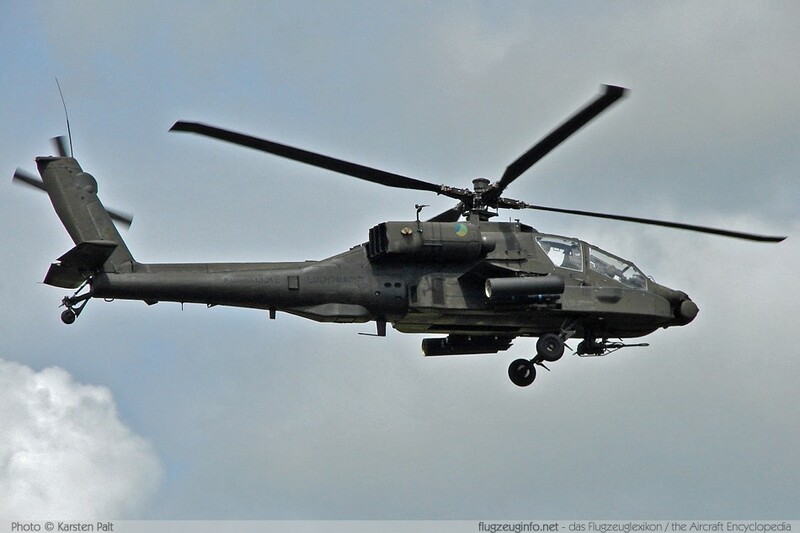 The current production model is marketed by Boeing as the AH-64D Apache Longbow. 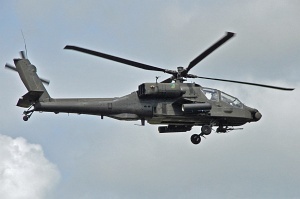 The AH-64 was also licence-built by the British manufacturer Westland.